One of the things I really love about the house is that it is not fabulous, fancy or precious. 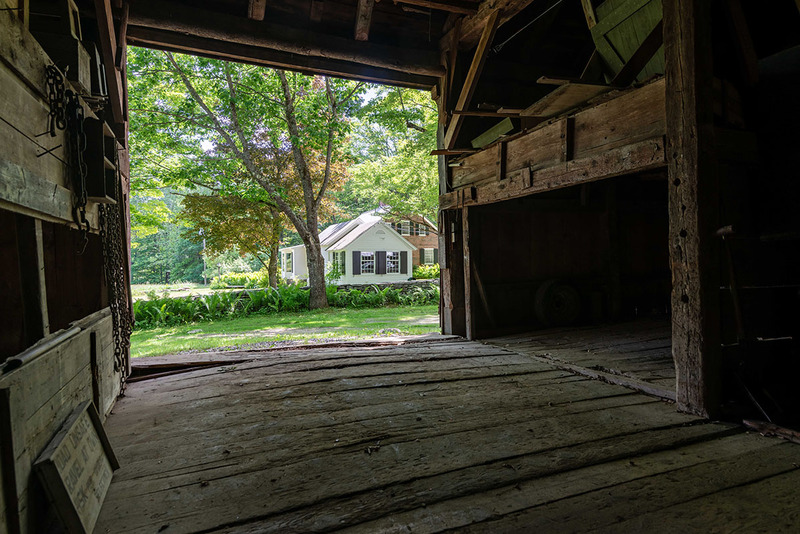 It has the simple, honest, straightforward beauty of the vernacular – local materials, assembled to meet the needs of a small Vermont hill farm, but designed and built by a skilled builder with a keen instinct for and understanding of proportion, scale and relationship of space. My great-grandfather and his wife named the house Selcombe, from the old English word Sell (which he described as meaning a “cottage of a higher sort”) and Combe – meaning a cup-shaped valley in the hills. 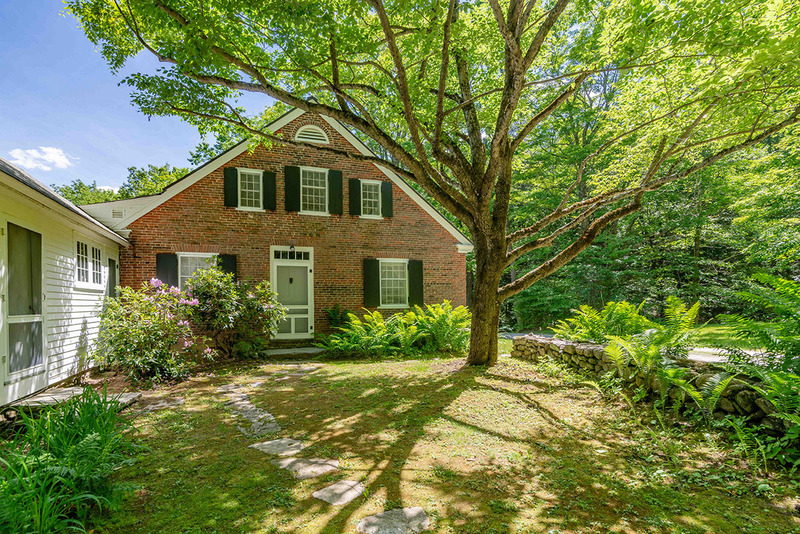 Though the original house is just a little Vermont hill farmhouse, it really does seem to be a ‘higher sort of cottage’. 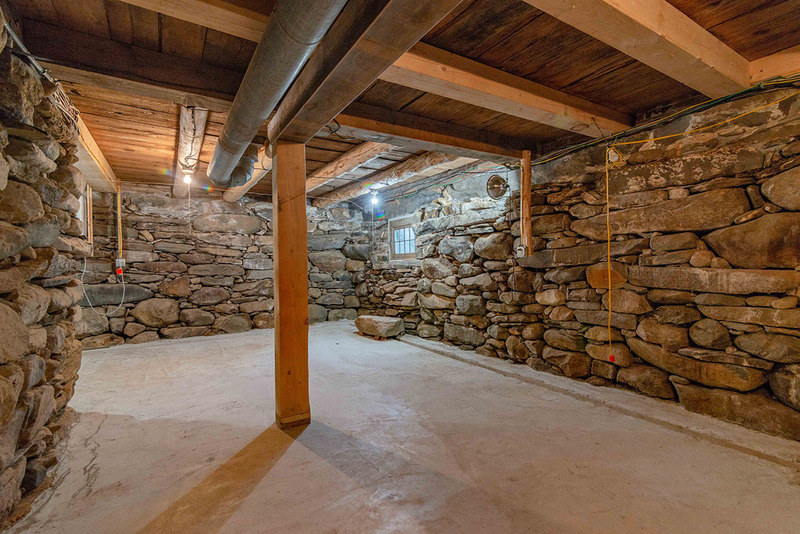 The basement, with its dry-stack, granite field stone foundation and full-height ceilings is magnificent. It likely took over a year to hand dig and line with fabulous stones that haven’t shifted in 200 years. The ceilings in the main house are higher than typical for this era (pre-1820). The fanlights over the doors, the vertical brick corbels over the first floor windows, the handmade bricks, heavy shutters, 8-over-12 windows, large square rooms, the fireplaces with stone lintels, the original built-in cupboards and oven around the fireplaces – all very simple, but so much more beautiful than you might expect in a little Vermont hill farm. Form consistent with, but exceeding, function. Selcombe was a summer/vacation home for the extended family. 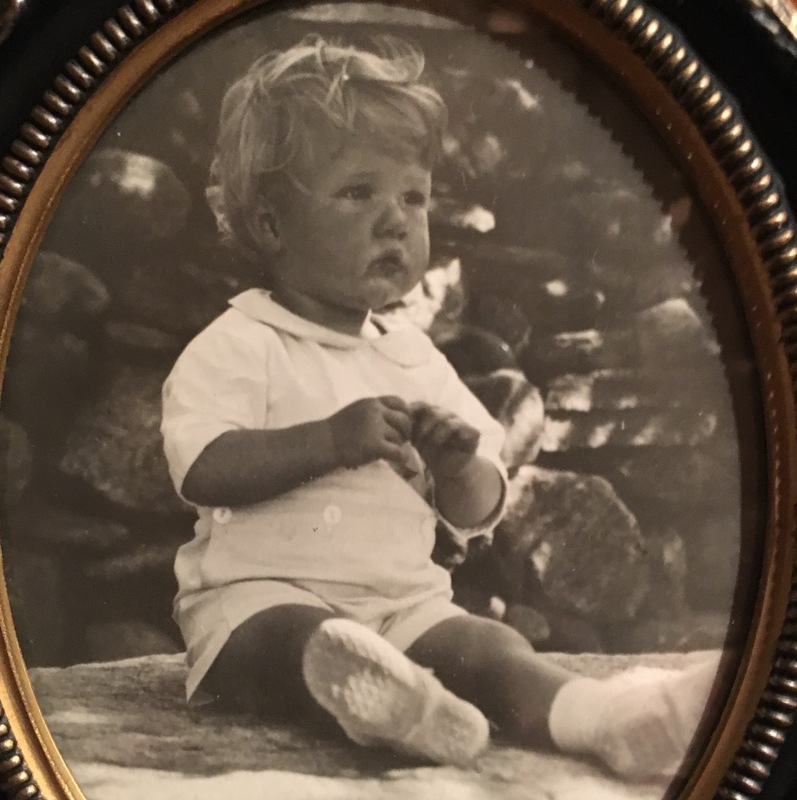 My great-grandfather, William Dickson Young (WDY) fell in love with the area after researching and tracing our family ancestry back to West Townshend, Vermont. 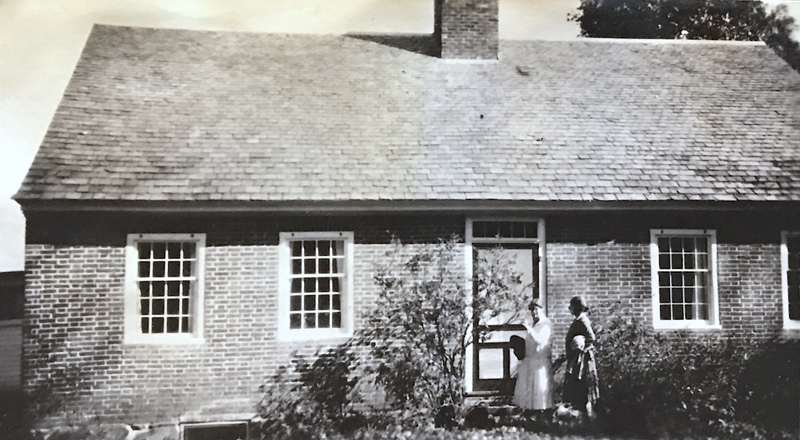 So, he and his wife, Isabel Kittinger Young, purchased the house and most of the Brookline acreage in October of 1927. My grandparents, Elizabeth Dickson Young and Gordon Nye Parker, became engaged here in 1928. WDY added to the land holdings throughout the 1930s. My Dad, David Young Parker, started coming here as a child in 1931. You can see cardboard cutouts of Tigger and Piglet that he and his sisters made in the ‘30s in the barn, as well as various bones, fungi and other ‘curiosities’’ collected for exhibits they put on for parents and grandparents in the late ‘30s / early ‘40’s. Aunts, uncles, and cousins spent lots of time in this house and surrounding woods (750 acres) throughout the 1950s and 1960s. In 1973, my parents moved here full time. My wedding reception was under a large tent in the Robin Yard (the yard you look at from the dining room windows). My brother’s daughter was born nearby and spent much of her childhood visiting with “Dama and Baba” at 78 Parker Road swimming in the brook, outdoor picnics, badminton on the lawn overlooking the brook, croquet in the Robin Yard. In time, cousins came back with their spouses and children to introduce them to the place that had meant so much to them as children. I don’t really have favorite rooms – I have favored spaces, depending on time of day / time of year. The light is so beautiful in the living room in the morning. Sometimes I just stand in there and look around and smile in the morning. On a cold evening, it is lovely to have a fire in that huge living room fireplace which throws heat so nicely. You can seat 20 people in there; or stand 40+. It’s a great place for a large cocktail party or small family gathering. I love to sit in the bay in the dining room – breakfast in the morning; drinks in the evening – watching birds in the yard in the AM, deer in the field in late afternoon/early evening, while the screened terrace is a pretty wonderful place any time of day, year-round. My brother’s favorite spot on the property is the site and cellar hole of an old hillside farm high on the west hill of the property. He always had his lunch there while he was posting the property each September. The beautiful setting must have had an incredible view to the east 1840-1900, when the land was far more open. I grew up in Buffalo, New York. My brother and I went to small, private schools and we lived in a neighborhood that you would not today call economically or socially “diverse”. Spending part of each summer, long weekends, Thanksgiving and other school holidays in Brookline provided experiences of people and place that were so different from the Buffalo norm, and which proved to be important cornerstones in who we became as adults. Hoyt Marsh, who lived at the other end of Parker Road, was born there and farmed the surrounding land all his life, with scythes and ancient iron-wheeled plows and mowing machines pulled by mules, oxen and horses. My brother and I loved to visit with him and his wife Minnie and listen to their stories. Even in the early 1960s, the only running water in the house was the pump faucet in the kitchen. Minnie thought it was quite a marvel (no hauling required) while we thought it was quite interesting (you have to pump it to make water come out). After WWII, Lester Rink moved from the Midwest to Brookline with his wife Anna to start a saw mill. He ordered his house (which still stands on Grassy Brook Rd) from a Sears catalogue. Arthur Gibbes Burton, who was a student of John Carlson at the Arts Students League in New York and moved to Brookline in the 1920s, painted and penciled most of the art in our house. He was a friend of both my grandparents and parents. We visited with Arthur regularly until his death in 1969. We knew him when his studio burned – along with the hundreds of paintings in it, and through the onset and fullness of his blindness in his later years. Charles Seipmannan was an early practitioner of using broadcast media for educational purposes at the BBC (1920s), professor of communications at New York University (through the 1970s), and longtime friend of Edward R. Murrow (they both held the title of “director of talks” at their respective radio stations in 1930s London). He and his wife Janey and daughter Katie were fascinating neighbors (large yellow house across Grassy Brook Rd. from base of Parker Rd) for many years. Eugene Field, author and children’s poet (Wynken, Blynken and Nod; Little Boy Blue), owned the house and land at 78 Parker Road for a short time in the late 1880s. His grandmother lived in Newfane. Favorite things to do in the early years included canoe trips; deer hunting (venison in the freezer and deerskin gloves! ); trout fishing; shooting clay pigeons in the field; walks in the woods; driving the ’49 Willys jeep up the lumber road; puzzles and board games; swimming in the West River and making local friends; swimming in the brook; snowshoeing; cross country skiing; watching thunderstorms move in over Putney Mountain; Tasha Tudor; Maria Von Trapp; Newfane Garden Club; great meals at the Newfane Inn; Bear Farm; antiquing. And in later years – lunch and shopping in Manchester (but not having to stay there); skiing in Stratton (but not having to stay there); great meals at the Four Columns Inn and at Kenny’s restaurants in Newfane (10 minute drive), and other wonderful places 20 – 30 minutes afield; great artisans and art – Laura Zindel (ceramics) in Brattleboro; Crowell Gallery in Newfane; wonderful music in Brattleboro and other venues within 20 – 30 minute drive (little known fact: Ken Burns recorded the music for almost all of his documentaries in Brattleboro, starting with the Civil War series, because the area has so many excellent musicians); driving day trips – so many beautiful towns, interesting galleries, restaurants, museums, shops, sites – fun to just get in car and do a loop, have lunch and be home late afternoon; antiquing; town meeting. This place has been the center of gravity for our extended family for five generations. Our hope is that a new family will also fall in love with it and find that it becomes a center of gravity for their family and friends. Have you ever wondered what it would be like to live in one of LandVest’s properties? We invite our owners to tell us a bit about their experience, what they love about their homes and a bit of their history. I hope you have enjoyed this story of Selcombe, where four generations of family have come together at one time. Selcombe is ready for the next steward of the land and the family hopes that the new owner will love it as much as they do. 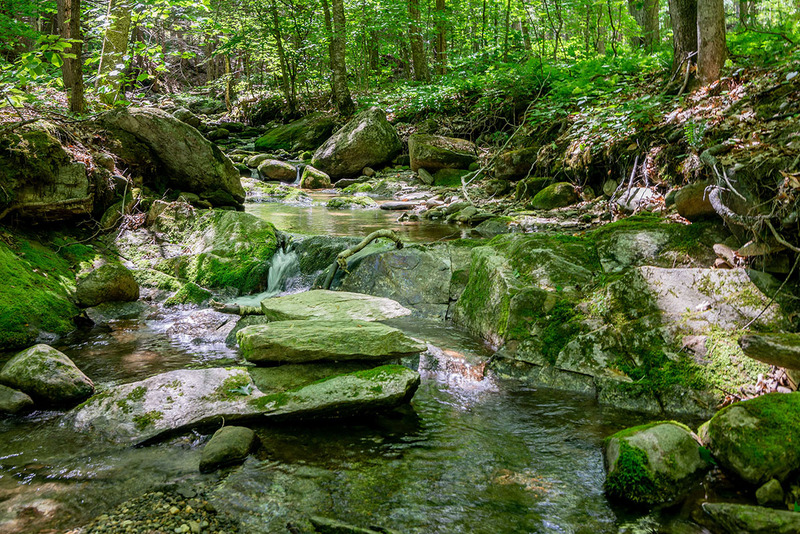 Selcombe, in Brookline, is 2.5 hours from Boston and 4 hours from New York. Selcombe is for sale. To see additional photos and learn more about Selcombe click here. Click here to see family scrapbooks.